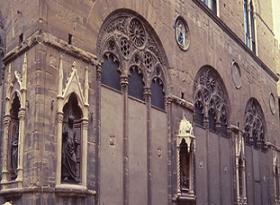 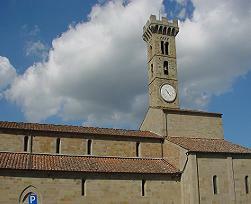 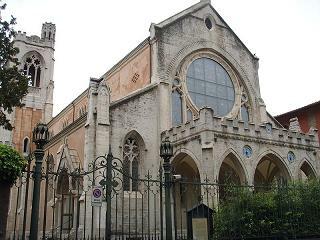 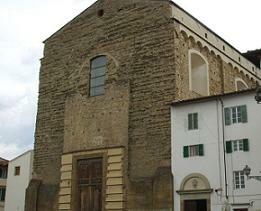 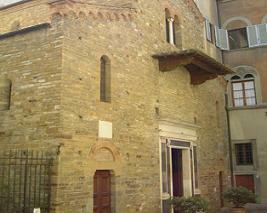 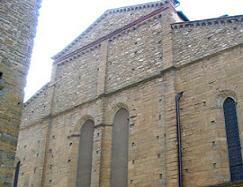 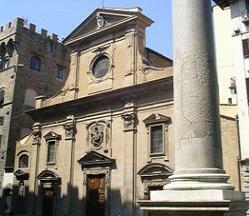 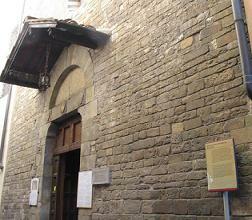 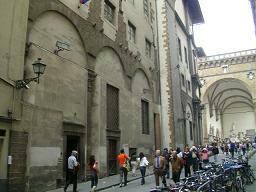 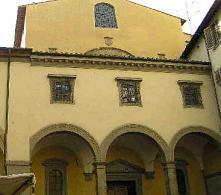 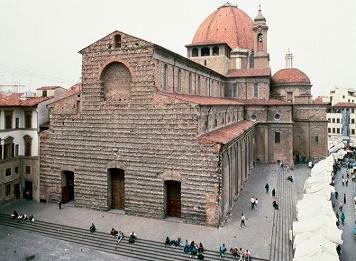 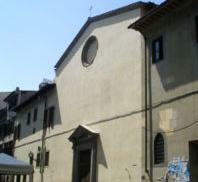 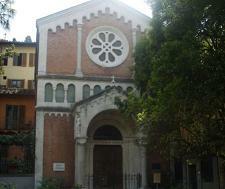 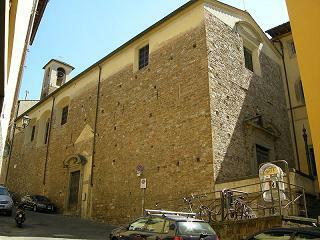 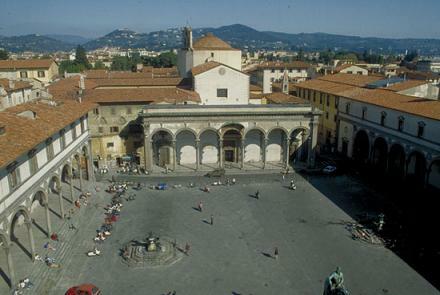 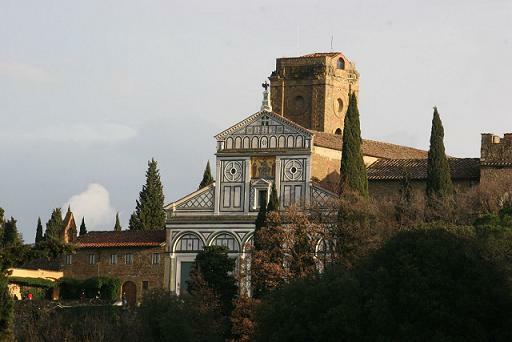 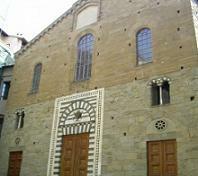 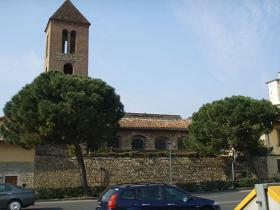 The church of Santa Maria dei Ricci was founded in 1508 with a facade arcade due to the reorganization of 1610 implemented by Gherardo Silvani, under the patronage of Ricci, to fix the offense by Antonio Rinaldeschi the image of the Virgin Mary on the side of the nearby church of Santa Maria degli Alberghi. 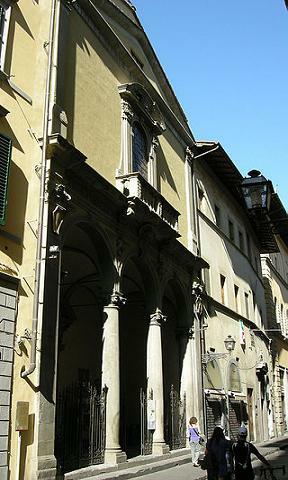 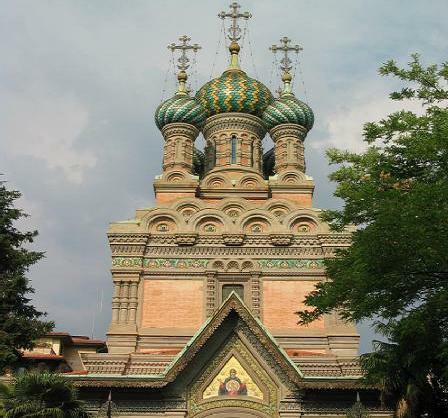 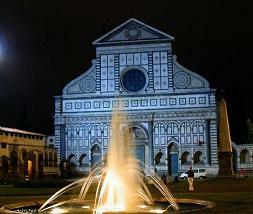 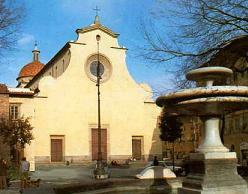 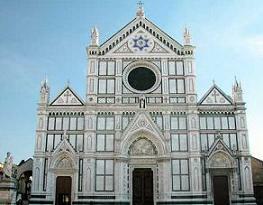 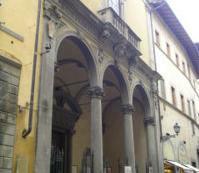 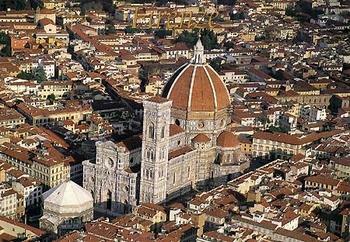 The church of Santa Maria dei Ricci was rebuilt in the seventeenth century by Gherardo Silvani with the addition of the arcade (about 1640). 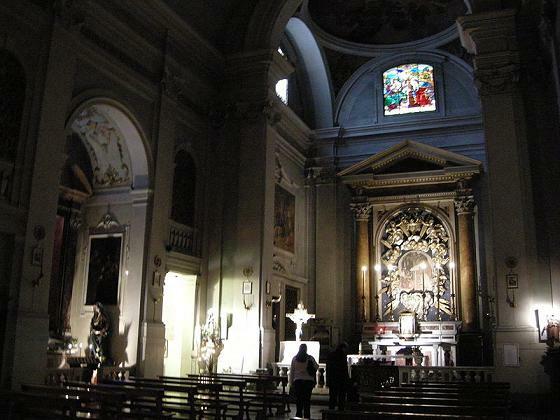 The interior of the Church of Santa Margherita Santa Maria dei Ricci in the late Baroque style, with a single nave, was built in 1769-1772 by the Zanobi del Rosso. 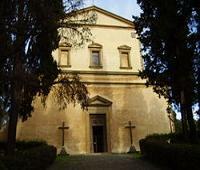 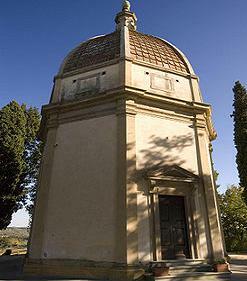 The vault was frescoed by Lorenzo del Moro with the Assumption of the Virgin; other episodes of the Life of the Virgin were portrayed by John Camillo Sagrestani on the side walls of the chapels; in the altar is preserved the venerated image of the Madonna dei Ricci; in the first chapel, dining table with St. Margaret of Antioch (fourteenth century), placed in a seventeenth-century painting. 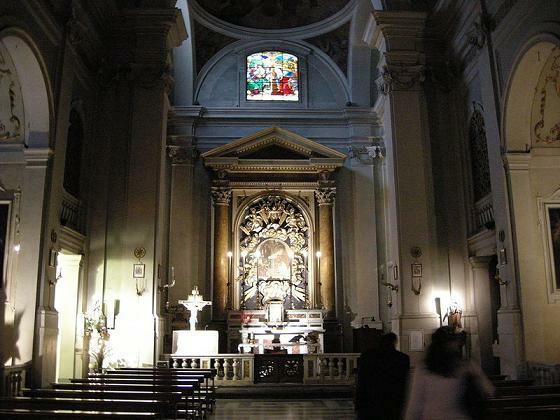 On the walls of the chancel there are two frescoes of the eighteenth century by Stefano Amigoli; in the greater altar the venerated image of the Madonna de' Ricci in the sacristy and the Eternal Father that sent the angel Gabriel to announce Mary, by Francesco Mati.